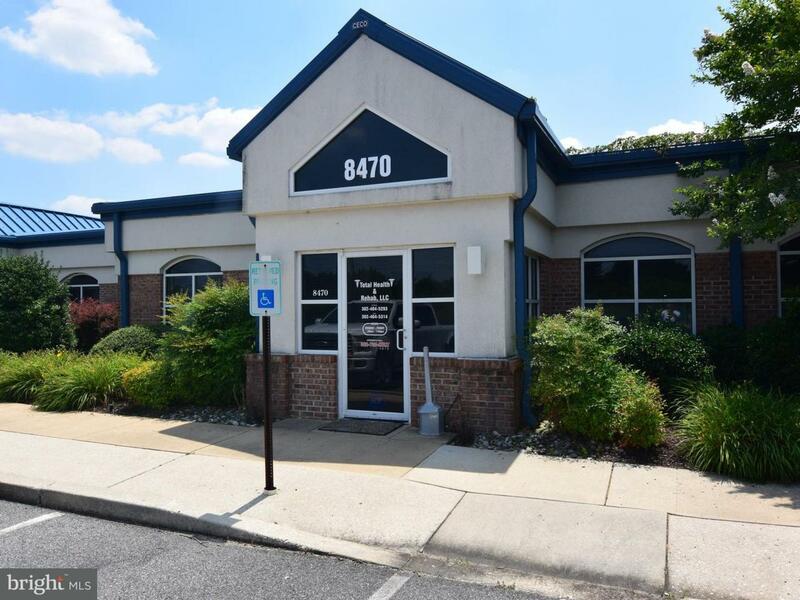 First class office condo in Seaford's growth area. Surrounded by the Mears Health Campus, US Post Office, Lowes and many other medical & professional offices. Flexible space with many possible uses. Most recently physical therapy office, but could easily be used by doctor, attorneys, real estate, insurance or any other business looking to be where things are happening. High visibility on Herring Run Rd, just west of Rt. 13. Condo fees are approx. $400/month including exterior and common area maintenance.